With cycling being more popular than ever we stock a range of products to help you enjoy your cycling adventures. 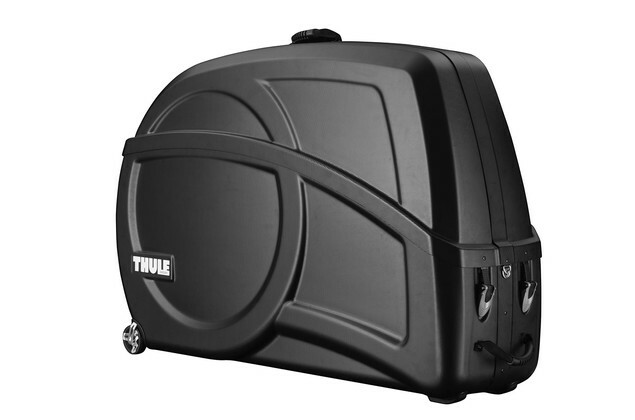 Transport your bikes with these carriers and cases quickly, easily and safely. 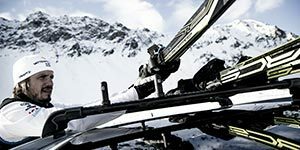 We have a good selection of products from top brands of Thule, SeaSucker, Fabbri and Bonza Bike Box. 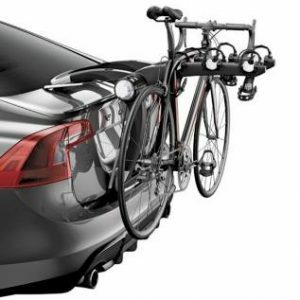 Transport your bikes safely and securely while driving with the professional wheel and fork-mount bike carriers. Quick, simple and easy to access with boot mounted foldable bike carriers. Secure transportation for the whole family’s bikes. The most convenient way to transport 2-4 bikes – especially for e-bikes. 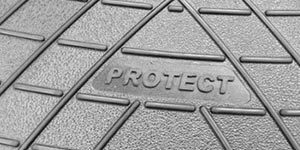 Premium bike cases to transport your bike in safety and style when travelling to holiday’s, training camps or competitions. 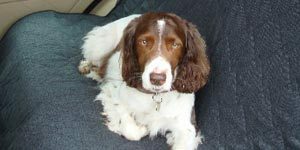 Cycling accessories, pannier racks and bags plus child seats. 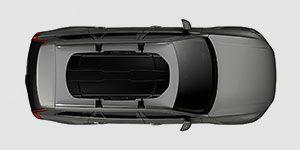 With its combination of convenience, stability and smart design the Thule ProRide 598 has become our best seller. It is easy to mount on either side of the car and with the automatic tensioning and positioning with the torque limiter dial control. 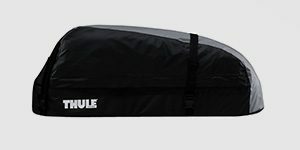 New for 2018 the Thule Upride 599 is a superb carrier. With many changing styles, technology and materials like carbon fibre this carrier has frameless contact to hold the bike. It works really well with Fatbikes plus is ideal for dirty mountain bikes post ride as with the no frame contact your paint work isn’t compromised. It’s also ideal for Time Trial or Triathlon bikes that have aero frames which can cause issues for usual carrier clamps. 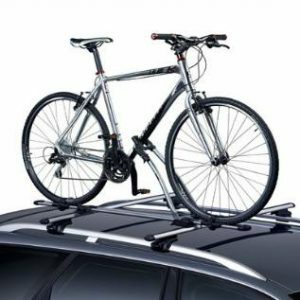 The Thule Outride or Thule ThruRide fork-mount bike racks are also great for those preferring smaller carriers and mounting the bikes slightly lower at the front. 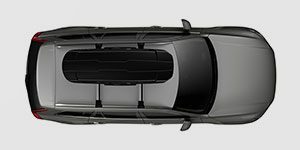 For those with sports cars, coupe’s or even supercars, then the innovative range from SeaSucker are ideal. The SeaSucker Talon is their best seller and it’s easy to see why when you’ve used it. 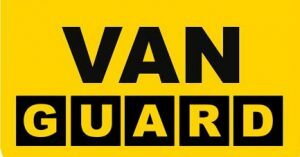 Come and check it out at our showroom if you need further convincing – if these suckers can carry the panes of glass for the Shard building then your bike isn’t going anywhere! 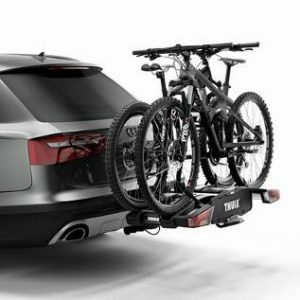 The popular towbar mounting bike rack the Thule VeloCompact is lightweight for everyday use and can carry up to four bikes with the additional adapters. Best of all once the bikes are loaded you still have access to the car’s boot thanks to the smart foot pedal tilt. New for 2018 is the incredibly versatile VeloSpace XT in either 2-3 or 3-4 bike versions. It brings together most of the top features from Thule’s other models and best of all it will clear up and over doors of most vehicles – including the VW Transporter for the 3-4 bike version! 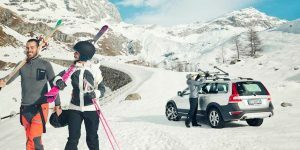 For those with limited storage room at home when the carrier is not in use, the Thule Easyfold XT 2 bike carrier or 3 bike carrier is an incredible feat of engineering with all the practical in use features such as a heavy load capacity, smart pedal enabling boot access and easy mounting. 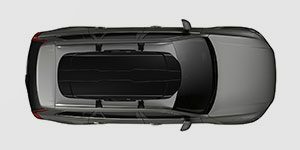 Gone are the days of unstable and complicated boot racks. 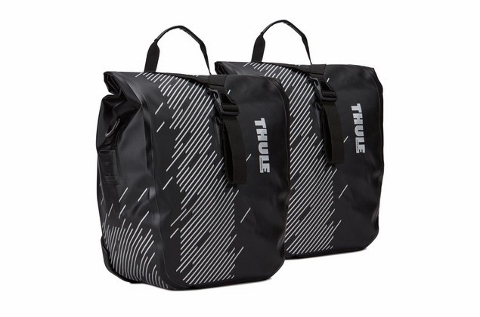 The very clever Thule RaceWay comes in 2 and 3 bike versions. Mounting is incredibly quick and clever. 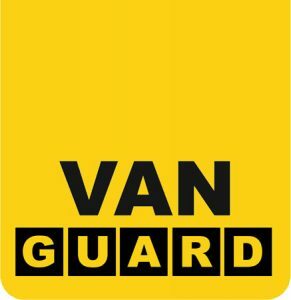 Once mounted you can be sure the rack and your bikes will remain stable long with being completely secure with the carrier locked to your car and bikes locked to the carrier. Got a pick up? then the innovative SeaSucker Falcon is ideal – quick and easy to fit and remove. Superb.